Some recent developments appear to have taken the U.S.-backed initiative beyond the concept stage. For years, the idea for the Turkmenistan-Afghanistan-Pakistan-India (TAPI) pipeline has remained just that – an idea. With an estimated cost of $10 billion, the theoretical pipeline would transit 33 billion cubic meters (bcm) of Turkmenistan gas over 30 years, with India and Pakistan each taking 42 percent of the transit and Afghanistan retaining the remainder. But questions of financing and security through Afghanistan seemed destined to staunch the pipeline’s creation. It was at best a fanciful plan – a project that would stich the region via an interconnected resource – and at worst a waste of time, resource, and initiative – another blinkered, U.S.-backed attempt that ignored security concerns and supra-national operability altogether, much like Washington’s shortsighted attempt at the CASA-1000 regional electricity network. Recent moves, however, have given TAPI a sudden burst of momentum. First, the four countries, with the Asia Development Bank as transaction advisor, set up a new company this month to “build, own, and operate” the 1,800 km pipeline. Registered in the Isle of Man, the TAPI Pipeline Company Limited will see Turkmengaz, Afghan Gas Enterprise, Inter State Gas Systems (Private) Limited, and GAIL (India) Limited with equal shares. Second, a flurry of recent high-level meetings have resulted in a handful of commitments. According to Pakistan’s Business Recorder, the four countries agreed to begin constructing the pipeline by 2016, with completion by the end of 2018 – and that “all the pending issues will be addressed” by next February. Moreover, Pakistan’s Customs Today reports that “potential partners” will be selected by the February deadline. 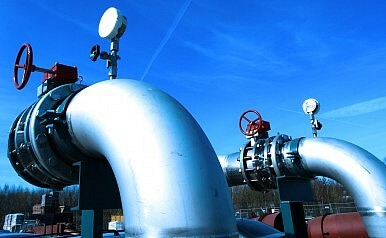 No energy majors have yet signed up for the pipeline, though the field appears to be narrowing. ExxonMobil and Chevron recently pulled back from the project, rebuffed following their demands for shareholdings in the Turkmenistan gas fields supplying the pipeline. As a result, France’s Total and Malaysia’s Petronas have suddenly appeared as frontrunners. Uzbekistan, likewise, has expressed interest in joining the pipeline – though Tashkent’s involvement remains relegated to rhetoric at this point. As it is, the Chinese position maintains far more credibility than American or Turkmen attempts at pushing this pipeline to completion. Security guarantees, namely within Afghanistan, remain the overwhelming concern, and will continue notwithstanding the continued American presence. The pipeline has momentum, yes. But that won’t be enough for it to escape the on-the-ground realities still prevalent. Nor will it be enough to help Turkmenistan escape the client-state status it’s lurching toward with Beijing. South and Central Asia leaders sign an agreement that appears to have little chance of going anywhere.